The Bishop of Ho Diocese, Most Rev. Emmanuel Kofi Fianu SVD, has called for a change in the attitude of Ghanaians in eradicating poor sanitation practices and endemic corruption in the society. HO DIOCESAN END OF YEAR PILGRIMAGE TO THE GROTTO ENDS. Several hundreds of Catholic faithful from all parishes and outstations participated in the 2018 Ho Diocesan End-of-Year pilgrimage to Our Lady of Lourdes Grotto at Kpando-Agbenorxoe over the weekend. 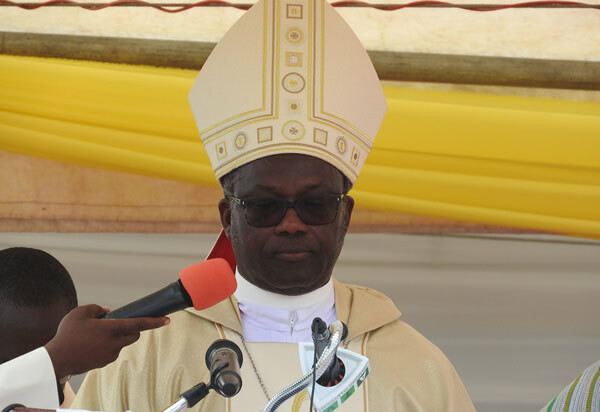 A nine-member committee has been constituted by the bishop to oversee the holistic development of Our Lady of Lourdes Grotto at Kpando-Agbenoxoe.